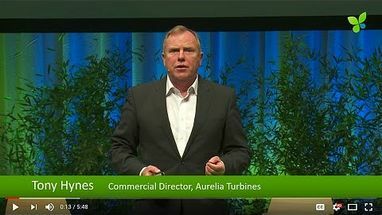 Matti Malkamäki pitches Aurelia Turbines at ECO16 Berlin. The Finnish startup makes very efficient small gas turbines for the co-generation of heat and power in small industrial installations. Aurelia has got strong demand from customers and currently works on setting up the manufacturing and delivery process with partners. Later this year, Aurelia will be fundraising again. A very interesting investment opportunity for everybody interested in the best small gas turbines in the world.